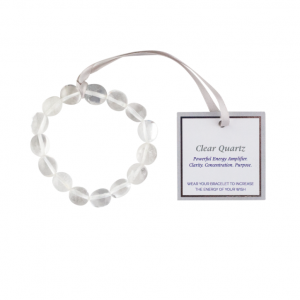 With Clear Quartz, you have joined forces with the most powerful healing and energy amplifier. Together you will be able to go beyond any negativity or limitations you may have around your Wish. Once this is done, everything will become clear. 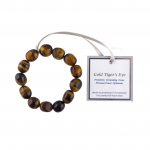 It will help to amplify your positive thoughts and energies, encouraging you to take productive action when and where it is needed. Clear Quartz will aid your concentration and bring stability and calmness of mind throughout your Wish journey. Powerful Healing. Energy Amplification. Clarity. Concentration. Purpose. 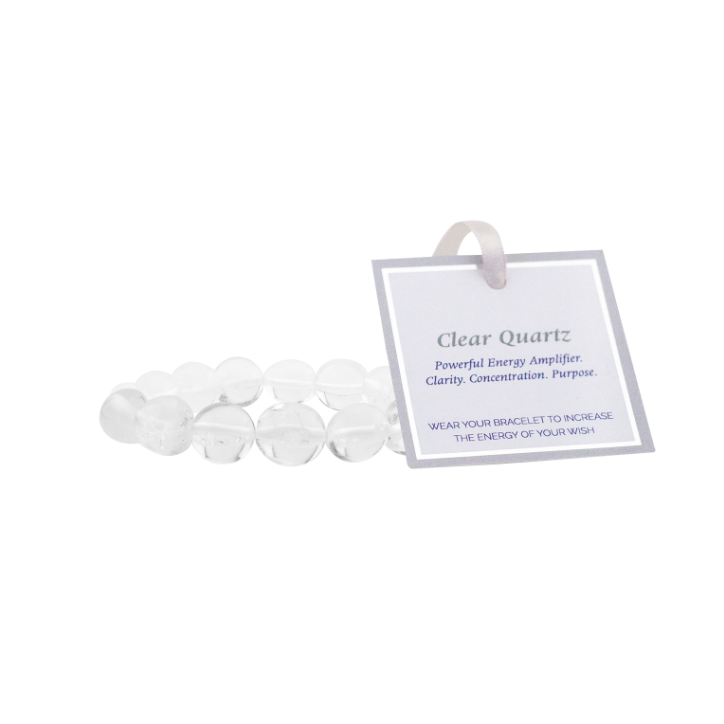 Clear Quartz helps you to see that there is a higher purpose to it all. There are no accidents. By aligning with your spiritual purpose, a clamminess and an ease in manifesting anything you desire will become apparent to you. Be aware of more synchronicity in your life, of things just ‘falling into place’. The more accepting you are, the more there is to accept. 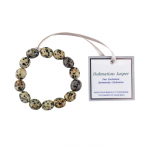 The Wish ~ Clear Quartz Bracelet is one size fits all and includes approximately 15 individual crystals.